Indiana University President Michael A. McRobbie presided over the dedication of the IU Athletics Excellence Academy. This state-of-the-art facility provides a home for the Excellence Academy program, which is one of the most innovative and effective personal development programs in all of intercollegiate athletics. 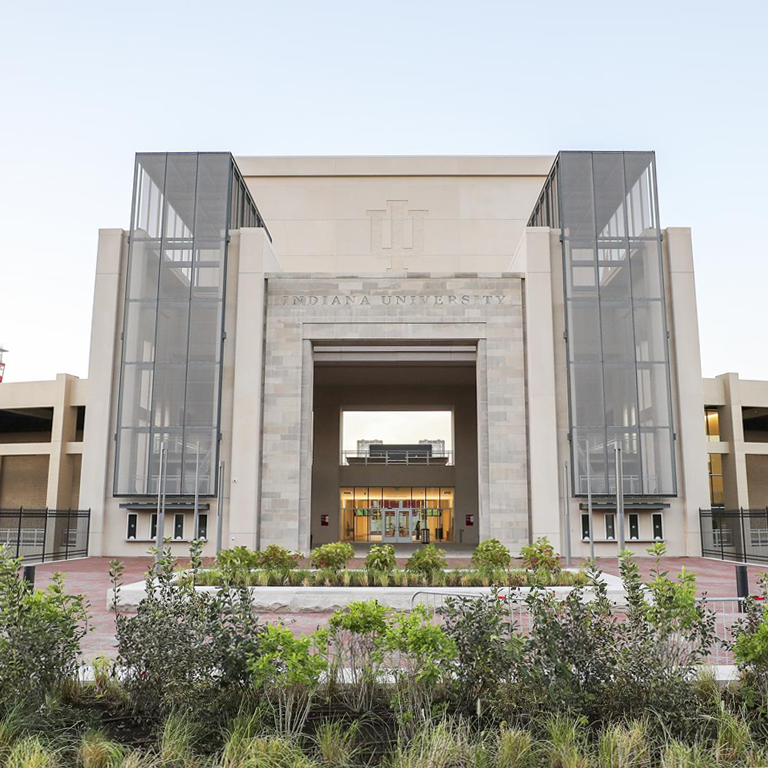 The $48 million, 66,575 square foot facility encloses the south end zone of Memorial Stadium and creates a bold new "front door" to the IU Athletics campus. The Indiana University Athletics Excellence Academy is the foundation of IU Athletics' promise to its students. It offers them comprehensive support with the use of cutting-edge technology; protects their health, safety and wellness; maximizes their athletic potential; helps them develop leadership and life skills; and builds a culture of trust and respect. The academy is a living embodiment of IU's Student-Athlete Bill of Rights – an environment where IU Athletics can serve its scholars in mind, body and spirit, while preparing them to be successful in life outside the university.